If you are sailing with kids, then you’ve likely considered the “Bottomless Bubbles” package offered by Carnival. Put simply, this package offers unlimited soda and non-alcoholic drinks for guests during their entire cruise. While the concept is simple, you might still have plenty of questions about the package such as if Bottomless Bubbles is worth is, how the package works, what’s included, and how much it costs. We’ve rounded up details on the package to help you learn more and decide if purchasing this drink package is the right move for your next cruise. What Is Carnival’s Bottomless Bubbles? Bottomless Bubbles is Carnival’s unlimited drink package for most non-alcoholic beverages (mostly sodas). With this program, you pay one daily rate to enjoy your fill of drinks without worrying about costs adding up. You simply head to anywhere drinks are served, show your room card, and get your drink. While Carnival offers tea, coffee, lemonade, and hot chocolate, Bottomless Bubbles offers up more choices for those who want sodas or juices. What’s Included in Bottomless Bubbles? Unfortunately, Bottomless Bubbles doesn’t give you free reign to order any non-alcoholic beverage. In fact, the list of what’s not included in pretty lengthy. Don’t expect to enjoy special coffees or “virgin” versions of alcoholic drinks. If it’s not soda or juice, then it’s likely not included. How much does Bottomless Bubbles Cost? Compared to most other drinks on the cruise ship, the package offers an affordable price. For example, a six-pack of Coca-Cola runs $10 through Carnival’s Fun Shops. By comparison, the cost of Bottomless Bubbles is $4.95 per day for passengers 17 and under and $6.50 per day for those 18 and older. This price does not include an automatic 15% gratuity added to the package. Therefore, the actual price is $5.69 per day for those under 18 and $7.48 for those over 18. Note that if you are still in U.S. waters, you will also be charged state sales tax on your purchase. The charge will appear on your onboard account. 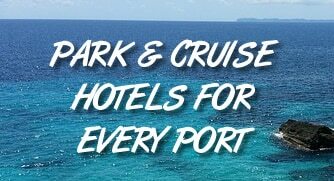 Also, the package must be purchased for the entire length of your cruise. You cannot purchase it for just a day or two. How do I Buy Drinks? Buying drinks is simple. Your card will be tagged with a “Bottomless Bubbles” sticker. When you want a drink, just head to wherever they are served and show your card. You’ll be served a 16 oz. drink. Note that only one drink can be purchased at a time. This is to stop passengers from sharing drinks purchased through the drink package. We have never seen limits on the amount of drinks that can be purchased in a day using the Bottomless Bubbles package. Also, drinks can only be purchased on board the ship. The package does not work in ports of call, even if you are at Half Moon Cay, which is operated by Carnival. Does Everyone in the Cabin Need to Buy Bottomless Bubbles? Unlike some beverage packages, not every passenger in a cabin has to purchase Bottomless Bubbles. So if a parent wants to purchase the package for the kids but not for themselves, that is no problem. That said, note that sharing is not permitted. You cannot purchase the package for one member of your party and have them order sodas for everyone. Our opinion is the package is a very good deal. The average soda/juice on board the ship costs about $2-4, so it only takes a few purchases a day for it to be worth purchasing. If you are the type that has to have their daily soda, then the odds are you will get your money’s worth. Especially when you consider there are no free refills on a drink if you purchase it normally. One thing to keep in mind is that on Carnival guest can bring on up to 12 cans or cartons of 12 oz. each. So if you like Coke, you can bring on a 12-pack from home for no charge. For many people, this is plenty of soda for the entire trip. Keep this in mind when determining if the package is right for you. How Do I Buy the Package? You can purchase the Bottomless Bubbles package in the Fun Shops before your cruise. Once on board, you can purchase once on the ship. There are often tables setup around the ship advertising the program, or head to the pool bar or casino to buy it. You can also head to Guest Services, but note that the line is usually long on the first day on the ship.